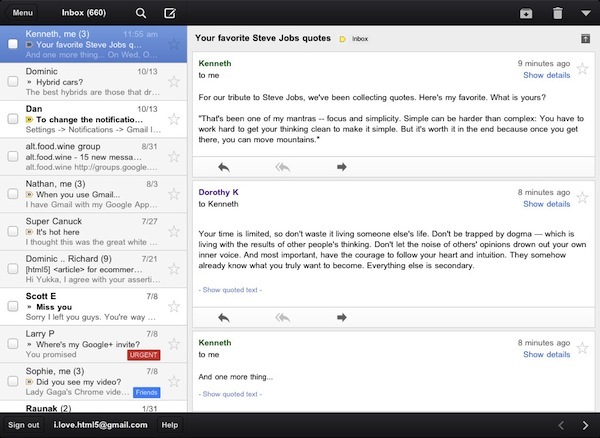 Gmail for iOS is a free download and worth checking out if you’re a heavy Gmail user and wanting an alternative to Apple’s default Mail app. The release of the Gmail app also demonstrates that Apple is easing up on some of the restrictions regarding apps that share functionality that already exist on the iPhone. This could possibly lead to an increase in other native mail clients being accepted into the App Store, such as Sparrow. I love Gmail and like Google but this app is rubbish, it’s simply the iOS framework wrapped around web view and an HTML5 container! No reason to ditch Mail for this one, if Sparrow comes to iOS then I’ll get excited. With native support built into IOS5, why use an app? I can’t figure out how to enable push notifications.. And nothing is showing up from Gmail in my general notifications settings.. Any ideas? The app was pulled by Google for a bug related to notifications, give it a day or two and hopefully an update will fix it. I’m getting an error that the app is not available in the US Store. Is the link correct? 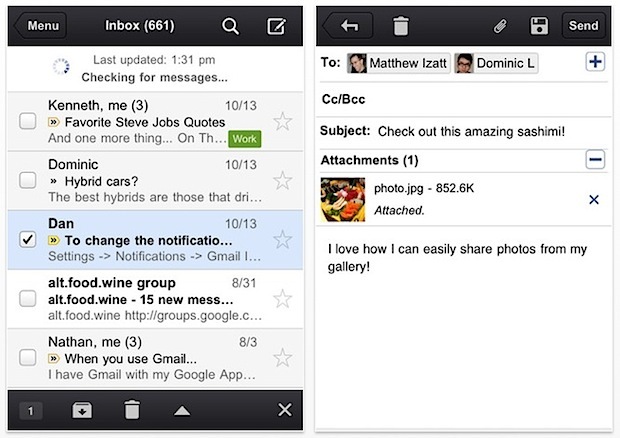 Why use a Gmail native app if you use Exchange for your Gmail? Not available in US stores!